This year to celebrate their great growth and expansion in China, ObEN is excited to announce their new Chinese name! Today ObEN announced their official Chinese name — 偶邦 — roughly translating to “Celebrity Crew” — a nod to their strong presence in China’s entertainment industry. The new name also serves to celebrate the Lunar New Year, which is when ObEN plans to release several new celebrity avatars created for the Chinese market. This follows on the heels of ObEN’s December collaboration with Chinese idol group SNH48 to release the world’s first human and PAI song and music video. Using ObEN's proprietary full-stack AI technology, they created avatars for six of the group’s most popular members, each bearing the voice and likeness of its human counterpart. The PAIs joined the group members to sing, dance, and perform in the music video for the song Now and Forever. 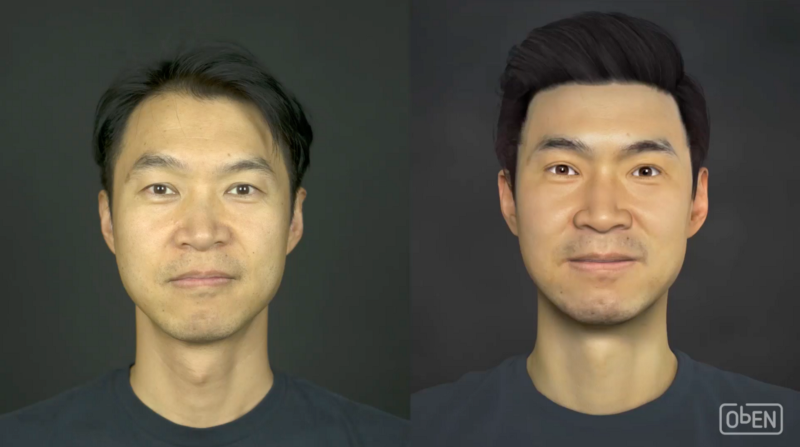 ObEN’s state-of-the-art AI technology uses simple selfies (or 3D face scans for higher quality output) and a few short voice recordings to create digital avatars that look and sound like an individual user. Coupled with natural language processing technology, these avatars can serve as intelligent virtual chatbots that can even behave and converse like the person they are modeled after, when provided with sufficient data. In November of 2018, ObEN showcased their PAI technology, competing toe-to-toe with Microsoft’s Xiao Ice AI on the popular Chinese show My Future. The company gained widespread recognition for the PAI of famed actress Dai Chunrong they featured on the show. Earlier in the year, ObEN was specially invited to exhibit their technology at the Shanghai World AI Conference, showcasing their work to executives, government leaders, and tens of thousands of attendees over the weeklong event. The company also debuted the world’s first PAI concierge at Shanghai’s K11 Art Mall, where their technology was used to transform K11 Founder and Chairman Adrian Cheng into a virtual concierge that greeted visitors and guided them through a dual exhibit featuring works from American ceramic artist Betty Woodman and acclaimed Chinese painter Zhao Yang.